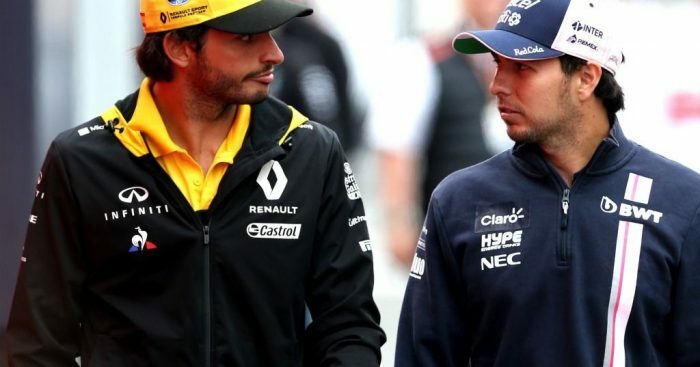 Sergio Perez, Esteban Ocon, Lando Norris and Stoffel Vandoorne are all in contention to partner Carlos Sainz at McLaren in 2019. That is according to Sky Sports, who believe Perez is in talks with McLaren over a return to the team he drove for alongside Jenson Button back in an underwhelming 2013 season. The Mexican has been at the forefront of the Force India takeover saga, triggering the administration process which allowed Lawrence Stroll to eventually take the reins from Dr Vijay Mallya under the new name of Racing Point Force India. Perez revealed in Belgium that is own future was close to being resolved and an announcement was close, but the widespread expectation was for him to be extending his stay with Force India into a sixth season. His Force India partner, Ocon, who currently has no drive for the 2019 season, reportedly had a seat fitting at McLaren over the course of the summer break. However, the paddock rumours in Belgium were that the Frenchman is too tall for the car and it won’t be adapted around his 6ft 1 inch frame. McLaren’s reserve and test driver Norris is another option for 2019 and is said to have impressed the team during his first FP1 outing at Spa. He will be getting another chance to impress at Monza this upcoming weekend, replacing Vandoorne in FP1 on Friday. Vandoorne, meanwhile, is still in the frame, despite the fact he has been outqualified every race weekend this season and has not scored a point since round four in Bahrain. McLaren are currently making no comment on speculation regarding which driver will partner Sainz next season.